Ottawa, Ontario – The Armenian populated villages of Kesab (Kessab, Kasab), Syria were the target of three days of brutal cross-border attacks from Turkey by al-Qaeda affiliated armed bands, which may have cost 80 lives and has forced the civilian population of the area to flee to the nearby cities of Latakia and Basit. 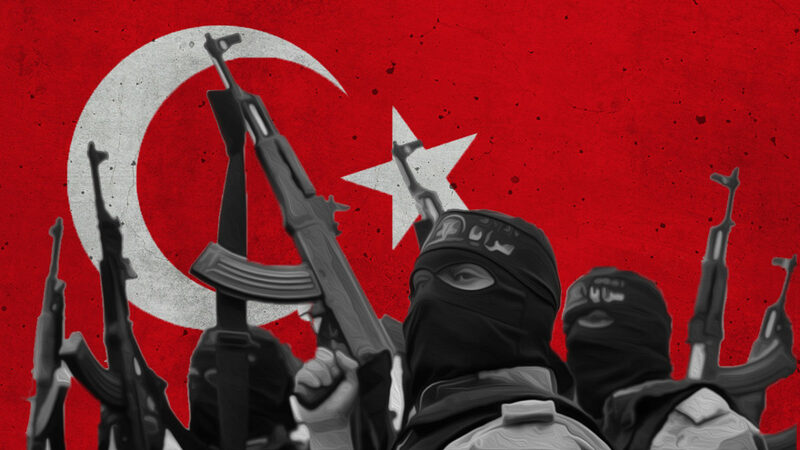 According to news reports, the armed incursion began on Friday, March 21, 2014, at 5:45a.m., with rebels associated with Al-Qaeda’s al-Nusra Front, Sham al-Islam and Ansar al-Sham crossing the Turkish border and attacking the Armenian civilian population of Kesab. The attackers immediately seized two guard posts overlooking Kesab, including a strategic hill known as Observatory 45 and later took over the border crossing point with Turkey. Snipers targeted the civilian population and launched mortar attacks on the town and the surrounding villages. Some 670 Armenian families, the majority of the population of Kesab, were evacuated by the local Armenian community leadership to safer areas in neighboring Basit and Latakia. Ten to fifteen families with relations too elderly to move were either unable to leave or chose to stay in their homes. On Saturday, March 22, Syrian troops launched a counter-offensive in an attempt to regain the border crossing point, eye-witnesses and state media reported. However, on Sunday, March 23, the extremist groups once again entered the town of Kesab, took the remaining Armenian families hostage, desecrated the town’s three Armenian churches, pillaging local residences and occupying the town and surrounding villages. In the last one hundred years, this is the third time that the indigenous Armenian population of Kesab is being forced to leave and in all three cases, Turkey is the aggressor or on the side of the aggressors. The Armenian National Committee of Canada (ANCC) condemns the attacks and Turkey’s active role in aiding and abetting extremist groups in their targeted attacks against the Christian and minority populations in Syria. The ANCC called upon the Prime Minister Stephen Harper to demand that the Turkish government control its borders and expel all al Qaeda affiliated groups from its territory immediately. Additionally, the ANCC requests that the Canadian government use any influence it has to ensure that the population of Kesab is able to return home. Finally, ANCC is calling upon the Canadian government to direct a portion of Canada’s budget for Syrian humanitarian assistance to the displaced people of Kesab. The ANCC is the largest and the most influential Armenian-Canadian grassroots human rights organization. Working in coordination with a network of offices, chapters, and supporters throughout Canada and affiliated organizations around the world, the ANCC actively advances the concerns of the Armenian-Canadian community on a broad range of issues.